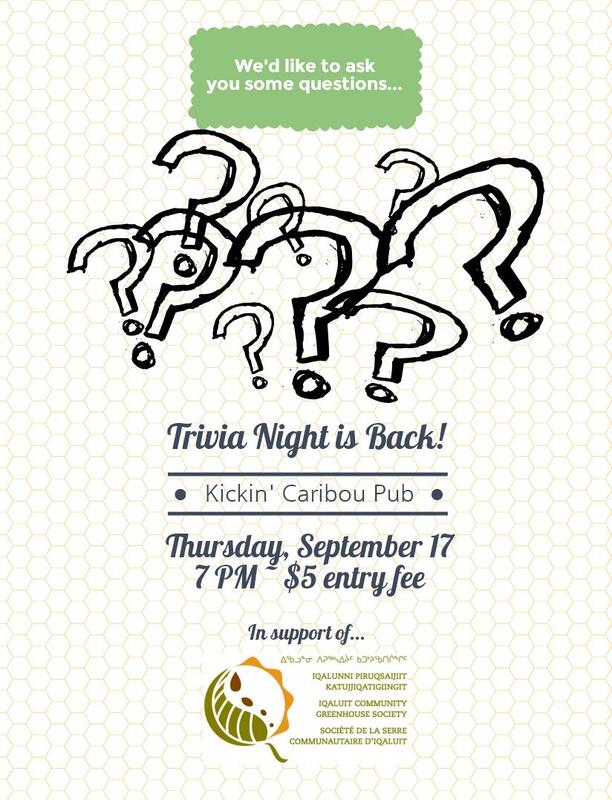 September’s Trivia Night is Thursday the 17th. We’ll see you at 7 PM at the Kickin’ Caribou Pub in the Hotel Arctic. Only $5 to enter and lots of fun. Prizes too!